Two weekends ago I saw that there was an open beta being held for Dissidia Final Fantasy NT and I decided to give it a try. I’d never played a Dissidia game before, but I had seen and read things about them, so I knew the basic concept of the games and the beta seemed like a good opportunity to see if I’d actually like playing them. After downloading the beta I spent about an hour messing around with the game and today I’m giving some thoughts on my brief experience with it. 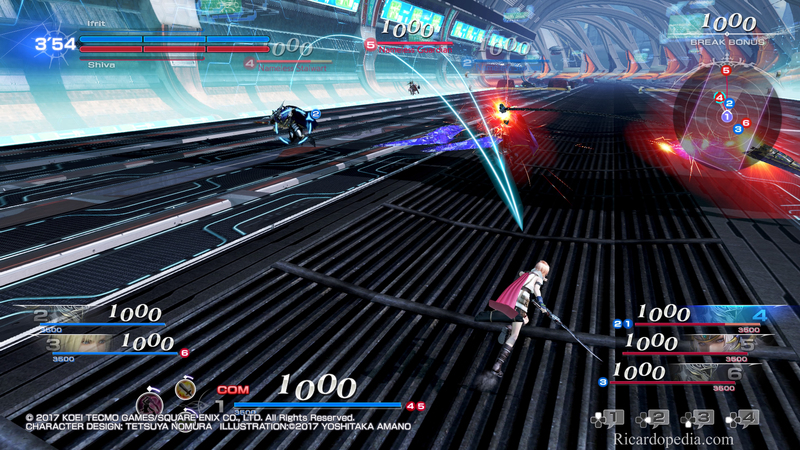 Dissidia Final Fantasy NT (referred to hereafter as just NT) is a fighting game where various characters from the Final Fantasy universes duke it out in a three-dimensional arena. In previous Dissidia games the battles were 1v1, but in NT the formula is changed to 3v3. The matches can be a straight up brawl or they can be objective based. Before a match starts you pick one character to control directly and then two supporting characters that will be controlled by the game. Each character has different abilities and is relegated to a particular class. Choosing a group of characters that compliment each other well is one of the keys to victory, though there’s no restrictions on which characters you pick for your team and maybe you just want to have fun by having three Vanguards fearlessly charge the other team. For my hour or so with NT I stuck with a single character, Lightning, as my lead while changing out my support characters a few times. 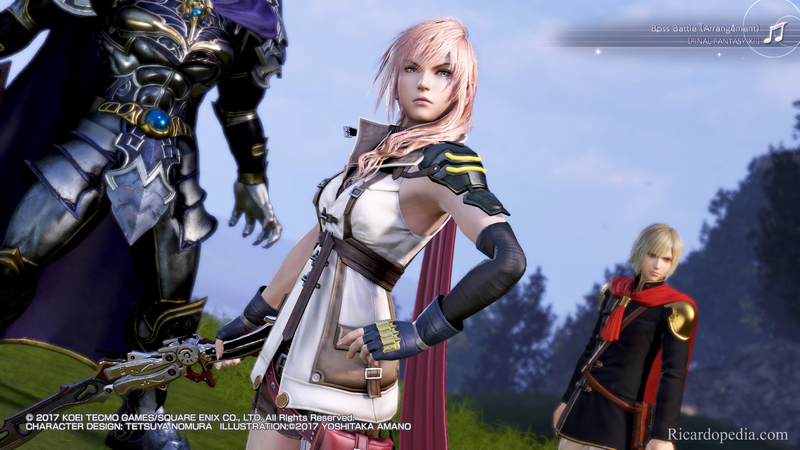 Lightning is not impressed by the competition. With my short time playing NT I can say that the game works pretty well but has a few quirks that I don’t like. The combat mechanics of NT are surprisingly deep and you can only brute-force your way through the game on the easier difficulty levels. To guide you through the game a slightly annoying Moogle voices NT’s tutorial and shouts tips during matches. I mostly enjoyed the combat in NT and at no point during my time with NT did I suffer any framerate drops or notable glitches. What I didn’t like was the HUD, which is strangely crowded for a 3D fighting game. If the matches were 1v1 this wouldn’t be as much of a problem, but when it’s 3v3 it can be hard to maintain battlefield awareness with so many things cluttering the screen. The lock-on system was also sometimes problematic in the way it can control the game’s camera. The HUD takes up a lot of the screen. Overall I think I liked NT enough to maybe play the full version eventually, though I’ll probably skip most of the multiplayer parts and just do the story mode. Granted, I suspect that the game’s story will be some sort of overly melodramatic tale that doesn’t make too much sense and only serves as an excuse to get all the combatants to fight, but it still might be cool to see these characters from different Final Fantasy universes meeting each other. 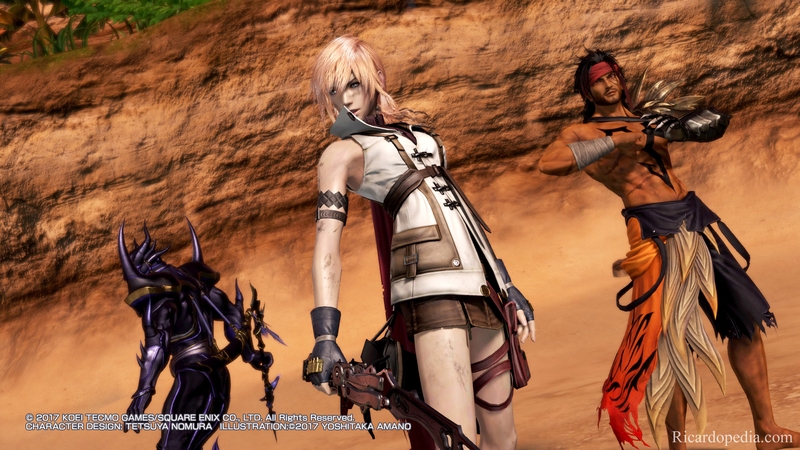 Lightning and company strike a pose after battle. Previous Previous post: Where can I get one of these?